At Substance, we want each person to find 4 to 7 friends to do life with and volunteering is a great first step! A lot of our volunteer teams serve on Sundays, yet we have other opportunities as well. 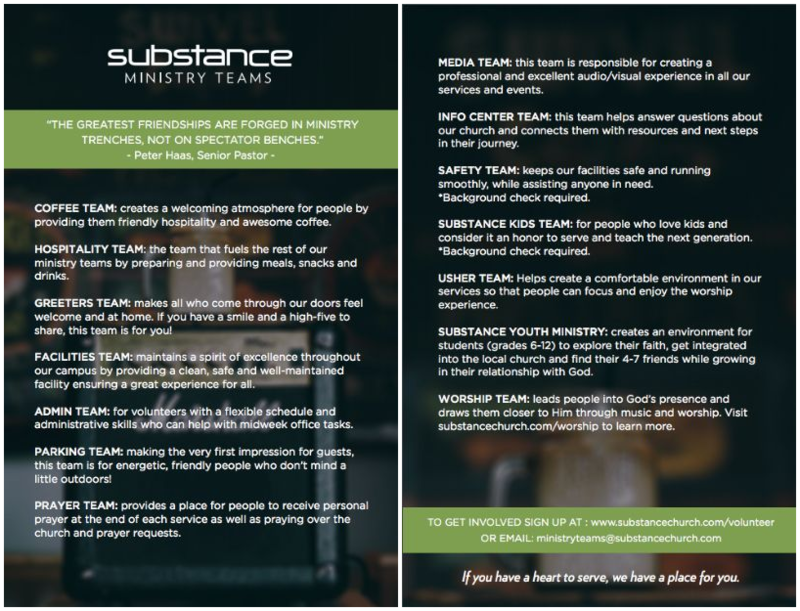 Check out our listing of Substance Teams. As members of Substance Teams, we have community, reach out to 'the one', and do the task. We will follow up with you and place you on a team this week!